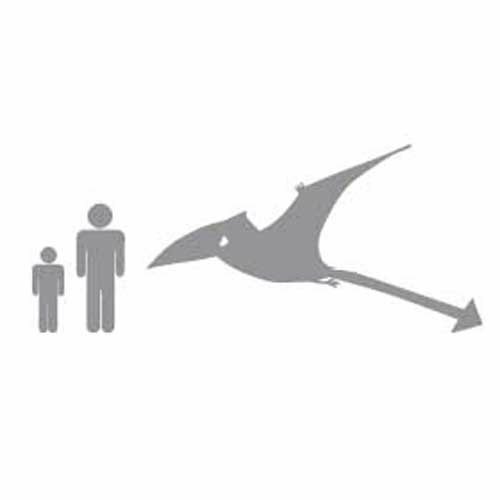 If it’s a dinosaur kite you’re after this Black Wing Pterodactyl Kite should fill the bill nicely. Talk about a big dinosaur toy! This dinosaur kite has an 11 foot wingspan. Yet despite its large size this kite is actually easy to fly. Renowned kite design genius Carsten Domann put his talents to work to bring the unique Pterodactyl Kite to the skies. With its massive 11 foot wingspan you will swear Pterodactyls are no longer extinct and have taken to the skies once again. Flying this dinosaur kite is about as close as you can get to owning a real dinosaur. This dinosaur kite is 3 dimensional and its body and tail both inflate, its wings actually flap in the wind, its tail has lifelike movement and even its legs move in the breeze. The Black Wing Pterodactyl Kite measures 11 feet wide and 18 feet long which makes it about as big as some species of Pterodactyl. This dinosaur kite was made for winds 5-18 mph. The designer recommends using 150# test line when you fly this pterodactyl kite.It features a Ripstop Nylon skin and carbon and fiberglass frame and includes a case. This impressive video of the 11 foot by 18 foot Black Wing Pterodactyl Kite was taken at the end of a 30 foot tether so this dinosaur kites awesome features could be clearly seen close up. 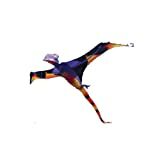 The Black Wing Pterodactyl Kite by Carsten Domann will make an awesome gift for dinosaur lovers and kite lovers alike. 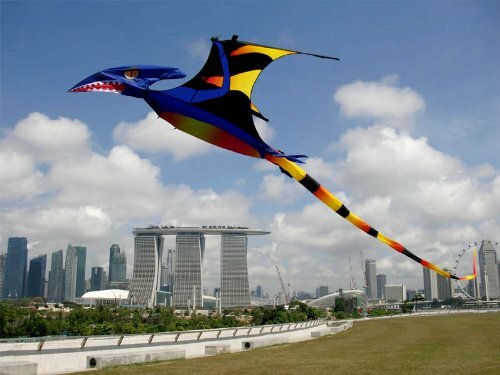 Flying this dinosaur kite will be quite a thrill and may even a crowd. This dinosaur kite would be great fun for a father-son project too. 11x18ft. (5-18 mph) Ripstop Nylon. Carbon and Fiberglass Frame. Includes case.